For instance, the most powerful? —How powerful? Beyond a civilization? –Who can hear me then? 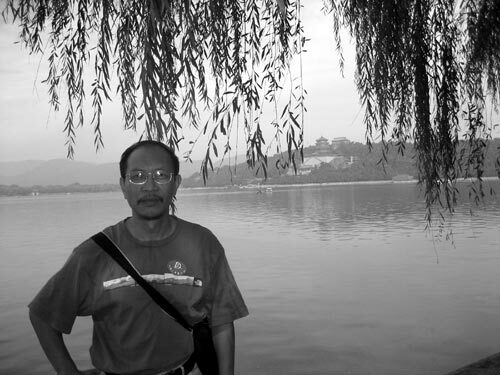 5-time Pushcart nominee and author of Chansons of a Chinaman (2009) and Landscaping (2013), grew up in rural China and currently tutors in Vancouver, where he co-edits Poetry Pacific with Allen Yuan (Poetry subs welcome at editors.pp@gmail.com). Recently interviewed by PANK, Yuan has poetry appear in Best Canadian Poetry, BestNewPoemsOnline, Exquisite Corpse, London Magazine, Threepenny Review and 730 others across 28 countries. This entry was posted in Changming Yuan and tagged Changming Yuan, Poetry by Monsieur K.. Bookmark the permalink. euphoric and metaphoric of nature.